A joint research team led by Prof. Sang Ouk Kim and Keon Jae Lee in the Department of Materials Science and Engineering at KAIST and Prof. Kwang Ho Kim at Pusan Nat. Univ., has developed a technique for fabricating semiconductors using camera flash. This technology is capable of producing ultra-fine patterns on a wafer scale large area by irradiating a single flash with a 7-nanometer patterning technique for semiconductors. In the future, it is expected that it can be used for manufacturing high efficiency and highly integrated semiconductor devices. 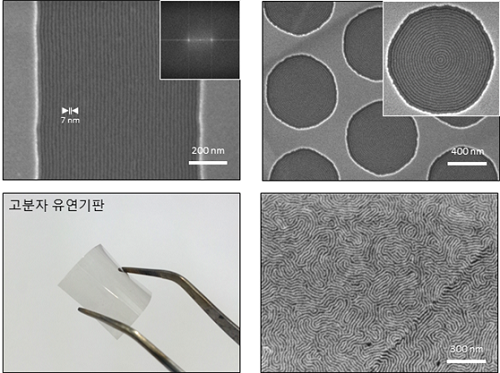 The research results, which was co-1st authored by Dr. Hyeong Min Jin, and Ph.D. student of Dae Yong Park, were published online at Advanced Materials in the August 21. High-capacity, high-performance semiconductor devices are essential for artificial intelligence (AI), Internet of things (IoT), and big data. In order to produce such a next-generation highly integrated semiconductor device, it is essential to develop a lithography technique that forms an ultra-fine pattern. Currently, related industries have mainly used conventional photolithography for small patterns. However, this technique has limitations in forming a pattern of sub-10 nm pattern. Molecular assembly patterning technology using polymer has been in the spotlight as the next generation technology to replace photolithography because it is low in process cost and can easily form sub-10 nm patterns. However, since it generally takes a long time to heat treatment at high temperature or toxic solvent vapor treatment, mass production is difficult and commercialization has been limited. The research team introduced camera flash that instantly emit strong light to solve this issues of polymer molecular assembly patterning. 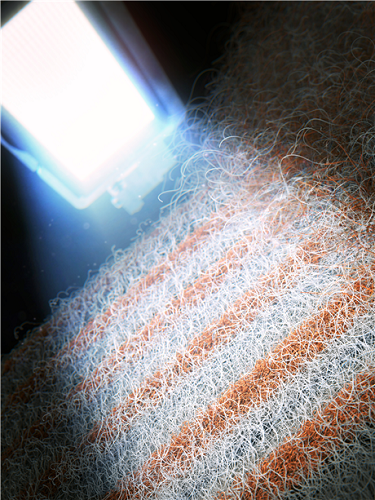 Using flash light, it can be possible to achieve a semiconductor pattern of 7 nanometers within 15 milliseconds (1 millisecond: 1/1000 second), which can generate high temperature of several hundred degree Celsius in a short time of several tens of milliseconds. The team have demonstrated that applying this technique to polymer molecular assembly allows a single flash of light to form molecular assembly patterns. The team also confirmed that it could be applied to polymer flexible substrates that could not be compatible at high temperatures process. It can be applied to the fabrication of next generation flexible semiconductor. 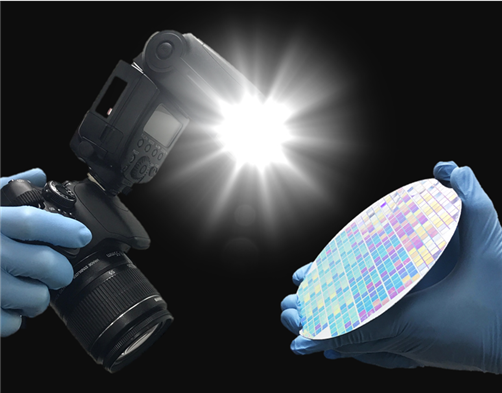 The researchers said the camera flash photo-thermal process is introduced into molecular assembly technology and this high-efficiency technology can accelerate the realization of molecular assembly semiconductor technology.